Being in a car accident is always a little nerve-wracking. 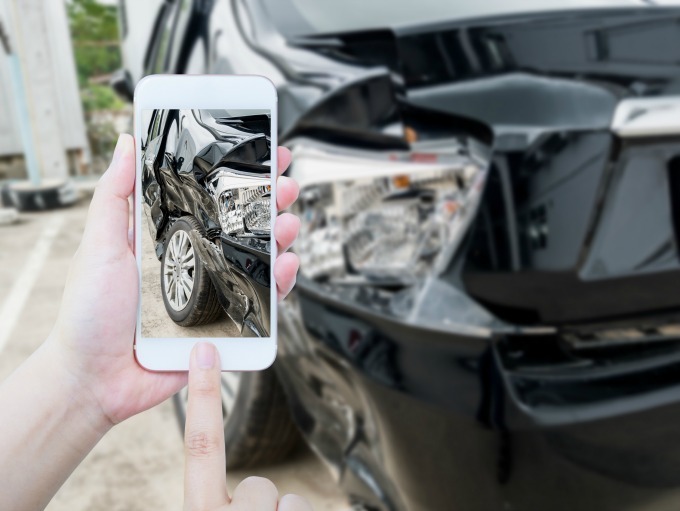 At Nicholas / Tobin Insurance we’ve put together a list of steps to take after your car accident, because knowing what to do afterwards is important to help make your car insurance claim process go as smoothly as possible. No matter how flustered and upset you might feel, you should never admit liability or fault to the other driver involved. Your discussions about the car accident should be limited to the police and your insurance professionals at Nicholas / Tobin Insurance. Ultimately, they’re responsible for determining fault. You are legally responsible to stay at the scene of an accident until the police arrive. Move your car to safety (and out of traffic) if possible. If that’s not possible, turn your hazard lights on and exit your car if you can do so safely. Make sure everyone is okay. If someone is hurt, call 911 immediately. Keep in mind injuries aren’t always obvious, so you may find you need to seek medical attention later. Whiplash is a common injury and it’s not unusual for the symptoms to take 24 hours (or even more) to become noticeable. Neck pain and stiffness, headaches, and shoulder pain are common whiplash symptoms, among others. Should you need to seek medical help after a car accident, make sure to keep records of your medical care and let your insurance company know right away. If you wait, it will be harder to prove that your injuries were a result of the accident. They’ll help with the traffic, speak to everyone involved as well as any witnesses, and their report will help with any insurance claims. Gather as much information about the accident as you can. Write down everything you remember, including the date, time, weather conditions, and where the accident occurred. If you noticed that the driver of the other car was talking on a cell phone, write it down. Take a picture of the accident scene that shows weather and road conditions. You’ll also want to photograph the damage. Talk to witnesses at the scene…and get their names and phone numbers as well. And lastly, be sure to get the contact information of the police officer writing the report. Make sure to share this information with your insurance professional at Nicholas / Tobin Insurance. It will be helpful for your claim. Make sure to get the name, address, phone number and insurance information (company name and policy number) from the other driver(s) involved. You should also write down a description of the vehicle, including the make, model and year, as well as the vehicle registration information and license plate number. Ask the police for their file report number as well. Call Nicholas / Tobin Insurance right away with information about the accident and any injuries. Their claims adjustor will likely want to see your car and the damage. Additionally, before closing your claim, Nicholas / Tobin Insurance will also want records of any medical care that you had. Nicholas / Tobin Insurance, located in New Milford, Connecticut, provides its clients the highest quality insurance products and services available today to protect them, their families, and businesses. We offer homeowners insurance, renters insurance, car insurance, business insurance, travel insurance and more! Our commitment to service means our team of licensed insurance professionals is here to help with simple policy questions, consult with you to determine appropriate coverages and be available 24/7 when trouble strikes and you need assistance managing through the claim process.